. . . very little things, like imperfections in your brass. They can bite you big time. Last year at the Backstoppers Match in August I had a "death jam" in my STI .45 while shooting stage #5. I had had jams pretty regularly in other matches before that. But having one that took 30 seconds (!) to clear in a major match was devastating. And it was perfectly avoidable. For a while I thought it was the gun. Or the bullets I was using at the time. It was neither. 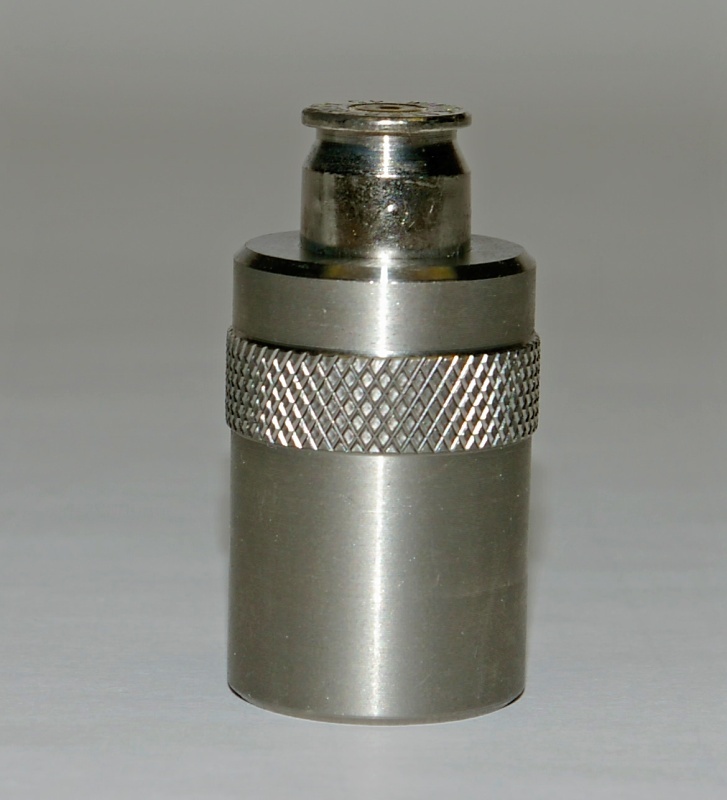 At the time I was not checking every completed round with my case gauge to insure there were no bulges or imperfections on the brass that would keep the round from sliding in and out of the chamber freely. I was checking maybe two of every hundred. Really stupid. Each piece of brass is different. If the brass doesn't fit in the case gauge, it may indeed get seated in the chamber just fine because the slide will strip it off the top of the magazine and force it in. 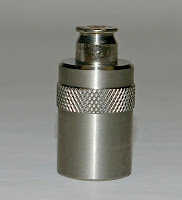 But once in the chamber and fired, the empty case may be wedged in so tight that the force of the recoil is not enough to insure its extraction. In fact, in the case of "death jams," tugging hard at the slide afterwards is often not enough force to extract the round. 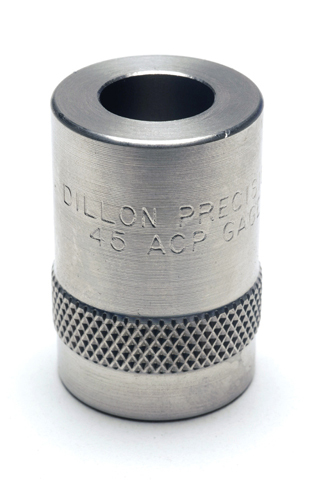 You can use a case gauge like the Dillon Precision one pictured in this post. Or you can just drop the rounds into your barrel and insure they go in and out freely. And some barrels are more finicky that others. The factory barrel on my M&P Pro 9mm is very forgiving. The brass has to be very bulged for it to stick. My Storm Lake match barrel, however, is very picky. I have to watch carefully or I'll get a FTE. I'm comfortable now with using the Dillon case gauge for the Storm Lake barrel. I know that if the round has any trouble going in, it gets discarded. Doing this adds more time to the reloading process. But every since I've begun to case gauge every round I've had no jams in any matches.